Patch 6.79 is on its way to Dota 2, and it’s going to be big. And when I say big, I don’t mean like that big 6’7” chap you see smoking outside your local at the weekend. Compared to him, Dota 2 6.79 is a double-decker bus stood upright its back wheels. Yes, 6.79 is huge, and it’s going to throw your game through the tumble dryer. It’s difficult to know where to start, so you’d best start looking at the patch notes right now. 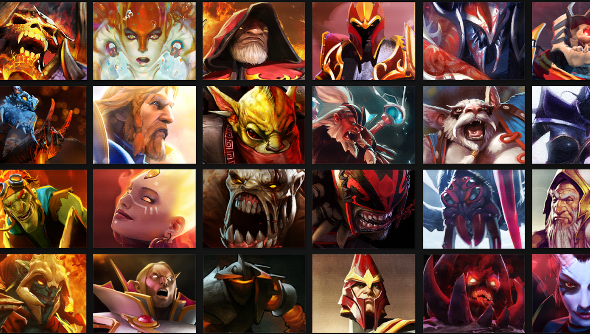 There’s changes to practicaly every hero in the game, dozens of items, and a massive amount of systems. Dropping my hand into the tombola of changes, I can pick out facts such as starting gold is now going to be 625, Broodmother’s web will allow free movement over trees and cliffs, Roshan will spawn between 8-11 minutes after death, and Slark’s Shadow Dance ability will no longer be revealed by Truesight. No doubt depending on your play style, these changes will have you running around your house shouting ‘HALLELUJA!’ like a mad person, or cursing the names of the Dota development crew alphabetically. There’s no word when the patch rolls out, but when it does you’ll know by the wake of devestation on every Dota player’s Twitter feed and forum thread the world over. For good or ill, Dota 2 is seriously shifting its game soon. Hold onto something.